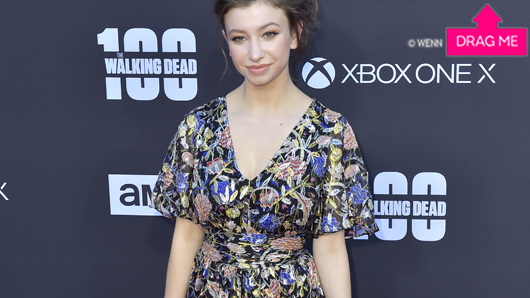 The Walking Dead star Katelyn Nacon has told fans she would love to take over the deceased Carl’s storylines from the comics. The 18-year-old plays Enid in the show, a young apocalypse survivor and a former romance of Carl’s. 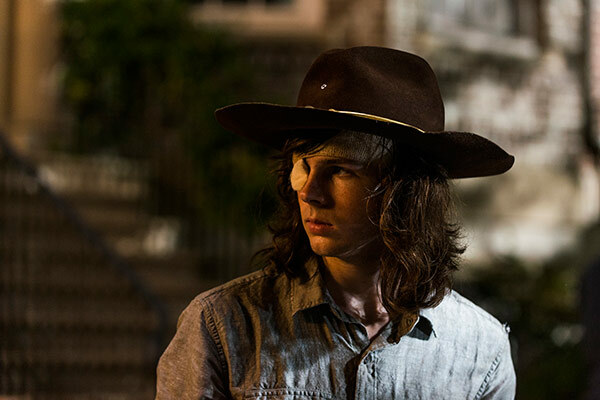 Chandler Riggs, who plays Carl, left the show unexpectedly in season eight – leaving Walking Dead fans reeling from the surprise loss. Carl is still alive and kicking in the comics. Speaking at a panel at London’s Walker Stalker Convention, Nacon was asked whether she would be interested in Enid taking over some of Carl’s comic storylines. “I would love for that to happen. I mean I think it would be such a cool idea to see his storylines still be taken over by someone young, someone still that age. “One of the things that make the storyline very strong is that they’re taking on all this leadership and this struggle and they’re still so young. Walker Stalker Convention takes place at Kensington Olympia on March 10-11 2018. The Walking Dead airs Mondays on FOX at 9pm. The Walking Dead star Pollyanna McIntosh has revealed who’s first on Jadis’s hit list. McIntosh, who plays the enigmatic leader of the Scavengers, Jadis, was speaking to fans at a panel at London’s Walker Stalker Convention. The most recent episode of The Walking Dead, titled ‘The Lost and the Plunderers’, saw Simon execute Jadis’s entire community and leave her only exit blocked by their zombified corpses. Later in the episode, Rick Grimes refused to help her escape, forcing Jadis to take drastic measures. McIntosh also discussed the heated chemistry between her character and Alexandria leader Rick Grimes, played by Andrew Lincoln. She went on to say: “Jadis really enjoys the bargaining and I think in those moments together where they were playing off each other is when that was really felt, because there’s so much enjoyment from her at that anyway. He’s also a curious person – he’s also someone who likes to take the measure of someone just as Jadis does, so that really brought them eye to eye. Former The Walking Dead star Sonequa Martin-Green has discussed being pregnant while filming the zombie series. The star, who played Sasha Williams on the show for four seasons, shot many of her scenes in season five while heavily pregnant. Her growing bump was disguised by thick layers of clothing and increasingly large weaponry. She gave birth to her son with husband and fellow Walking Dead star Kenric Green, Kenric Justin Green II, in 2015. “I say all the time, I was very grateful to God for getting me through it because our son was not planned and he’s the best thing that’s… I want to cry. I can do this. I can do this. Her words sparked applause from the audience attending the panel, which also included former co-stars Michael Cudlitz and Christian Serratos. 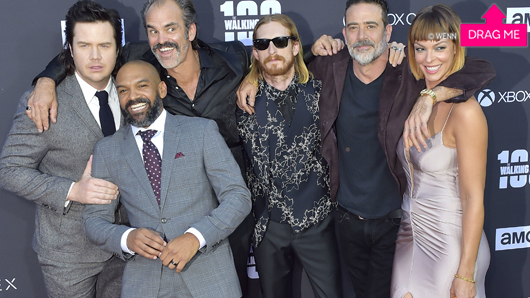 Jeffrey Dean Morgan has paid an emotional tribute to his Walking Dead co-star, Chandler Riggs. The Walking Dead‘s biggest ever goodbye finally took place this week, as long-term star Riggs left the show. Riggs’s character Carl suffered a fatal bite by a walker last season, which was revealed in the show finale. Riggs has played Carl for eight years, from the tender age of ten. The departure is a turn away from The Walking Dead comics, where Carl remains alive and a vital part of the story. Morgan, who plays bad guy Negan in the drama, posted an emotional tribute to Riggs on his Instagram – expressing his regret that the show only scratched the surface with Negan and Carl’s relationship. SPOILER (for the six people that are somehow in the dark… and get news from Instagram?) @chandlerriggs5 man…. what a pleasure. Not only getting to work with you… but, getting to know you. You, my friend, are an incredible young man. Well before joining this cast I was a fan… a fan that loved watching you grow up in front of a camera. From the moment you first put on the way too large sheriffs hat as a boy… to the end, the hat so befitting of the man Carl had become. Wiser and more compassionate than all of us. You held all of our hearts. Honestly… a huge reason I wanted so badly to join this band of misfits… was because I was such a fan of the Negan Carl relationship in the comics… that storyline was one of my favorites, as I know it was one of yours. I’ll forever be dissaponted we only scratched the surface of what could have been. BUT… I can take total solace in the fact that you are out there… doing your thing. You’ve grown into an amazing young man as well as a powerful actor… the world is your oyster Riggs. We all get to sit back and watch you kill it. So.. know you are missed on the show… but know you have a big ole group of family all here for you if needed… and eagerly awaiting whatever comes next. Love you Riggs. See you soon. Writing on Instagram, he said: “@chandlerriggs5 man…. what a pleasure. Not only getting to work with you… but, getting to know you. You, my friend, are an incredible young man. “Well before joining this cast I was a fan… a fan that loved watching you grow up in front of a camera. From the moment you first put on the way too large sheriffs hat as a boy… to the end, the hat so befitting of the man Carl had become. Wiser and more compassionate than all of us. You held all of our hearts. In the comics, Negan and Carl shared a complex bond that continued even after the defeat of Negan. The Walking Dead airs Mondays on FOX at 9pm. The Walking Dead is finally back from the winter after that cliffhanger – and ‘Honour’ is about as joyful as one might expect. Those hoping for a Jon Snow-style resurrection twist will be disappointed, as this episode does seem to confirm we’ve seen the last of Carl. His departure was every bit as depressing as actors and showrunners hinted it would be, fully fleshed out for maximum emotional impact in a feature-length opening episode. ‘Honour’ starts by going back in time and showing us Carl’s final days, from the fatal bite to his last letters to his burgeoning friendship with Siddiq. This extended sequence, which, like the episode, is longer than necessary, is set to the inspired choice of song ‘At the Bottom of Everything’ by the Bright Eyes. With a jovial tune and lyrics such as ‘We must rip out all the epilogues / From the books that we have read’, it’s oddly fitting. There are two very satisfying reveals in this episode. Firstly, that Carl did not sacrifice himself for anyone – Siddiq seems an all round good guy, who also happens to be a doctor. Secondly, the ‘Old Man Rick’ timeline is finally explained. It’s not Rick’s fantasy for the future, it’s Carl’s. It a painful and beautiful resolution, one of The Walking Dead‘s more poignant plot twists. 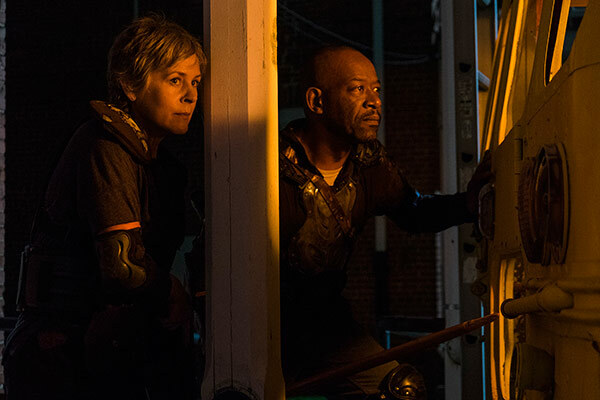 Elsewhere, we learn how the Saviours escaped and how Morgan and Carol were able to rescue Ezekiel. Morgan’s transformation is beautifully contrasted with Carl’s. As Carl relays how easy it is to lose humanity in the new world, Morgan relapses into killing machine mode. 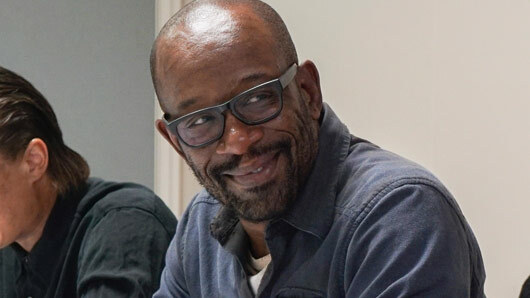 This is surely the beginning of whatever it is that will cause Lennie James to leave the show and join spin-off Fear The Walking Dead. For a goodbye episode, ‘Honour’ is about as drawn out as it gets. There’s plentiful misery, crying, and wise last words from Carl. 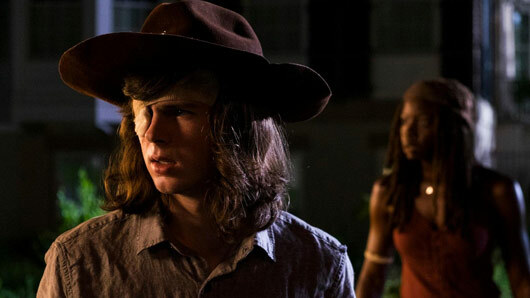 It’s not necessary – this episode, including both Carl’s death and Morgan’s relapse, could have easily been handled in a normal-lengthed episode. It would have still been painful. The appeal of the end result thus depends on how much you like relentless misery. The next episode of The Walking Dead is set to be extra long, as the midseason premiere waves goodbye to Carl’s character. Considering it is probably the biggest character death to ever take place on the series, it only seems fitting that The Walking Dead should extend its premiere episode when season eight returns for its second half this March. 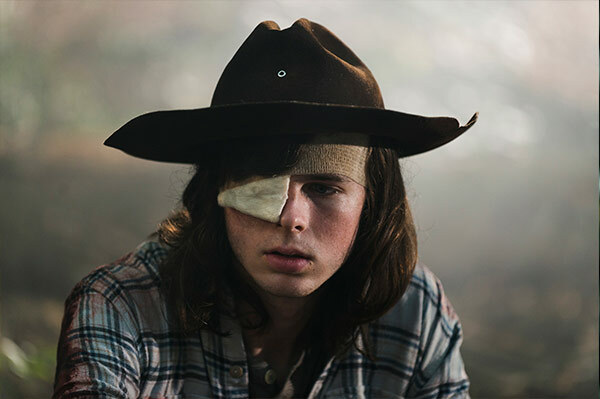 The episode has been confirmed to be 82 minutes long (including adverts) and will see the exit of one of the few main characters still left standing from season one: Carl Grimes. The recent mid-season finale left viewers shocked after Alexandria leader Rick Grimes walked over to his son in the final moments of the episode, only to find he had been bitten by a walker on his stomach; an injury that can only mean certain death on the show. 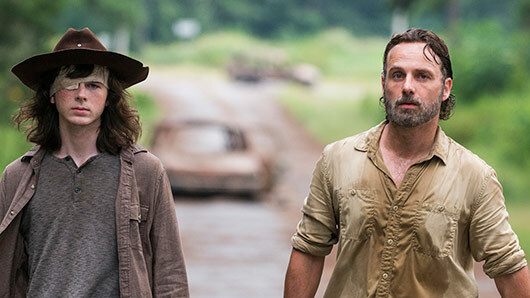 Many fans have questioned the future of the show with the loss of such a major character, but Riggs and TWD producer Scott M. Gimple have promised that Carl’s “legacy” will live on. The Walking Dead season 8 returns March 25 in America at 9pm on AMC, and airs the following day in the UK at 9pm on FOX. 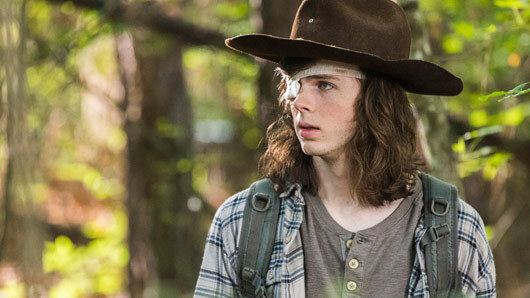 The Walking Dead actor Chandler Riggs has shared his thoughts on Carl’s death, saying the character’s passing will have a “long-lasting” impact on the series. The recent mid-season finale left viewers with what could be considered as one of the biggest shocks to have ever come out of The Walking Dead. In the final moments of the episode, Alexandria leader Rick Grimes walked over to his son Carl to find he had been bitten by a walker on his stomach; an injury that can only mean certain death on the show. 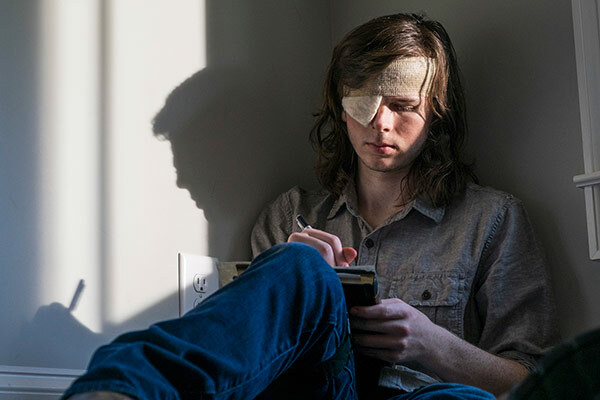 Fans of the show were left gobsmacked by the loss of such a major character, but Riggs and TWD producer Scott M. Gimple have promised that Carl’s “legacy” will indeed live on. Rigg’s co-star Andrew Lincoln has also discussed the huge implications for Rick Grimes’ character now that his son faces death. The Walking Dead‘s midseason finale did the absolutely unthinkable, killing one of the show’s “untouchables” in the biggest shocker of the series so far. The Walking Dead has always been somewhat predictable. Being based on a comic series means certain characters are always earmarked for death. New characters tend to last around a season and a half before meeting their gruesome end. A certain few individuals are immune from death, no matter the odds. All that has changed, as of “How It’s Gotta Be”. The death of Carl Grimes changes everything. Yes, the death has been confirmed. At least according to Chandler Riggs himself, this isn’t a Jon Snow situation. Carl isn’t coming back. This could go one of two ways. The shock could lead to a new lease of life for a tired show, or else it is the beginning of the end for The Walking Dead. Killing off a character who has grown with the audience, becoming both powerful and compassionate, is a risky move. Time will tell if it’s successful. One cynical reason for The Walking Dead including such a traumatic ending could be to distract from the rest of the episode, which was substandard at best. For one thing, no amount of adjusting the screen brightness made most the episode easier to see. Perhaps that was to detract from the jumbled nature of the plot, bouncing around characters and stories at a far too quick pace. The long and the short of it is that the plan to destroy the Saviours has failed. Negan is out and wreaking revenge. “How It’s Gotta Be” shows the characters responding to this terrible failure. The best moments of the episode are the moments focused on Carl, particularly his interactions with both Rick and Negan. Carl-the-sudden-humanitarian had some beautiful speeches this season, but it doesn’t make up for what might well be a terrible mistake. The Walking Dead will return to FOX in early 2018. For years, Eugene Porter has been a firm fan favourite on The Walking Dead. He’s never been the most exciting character. He’s never been the most loyal character. He’s never arrived last minute to a battle to save the day, armed with a missile launcher. His trademark? His remarkable intelligence and instinct for self-preservation. Despite all this, Eugene is the most relatable character on The Walking Dead. Most people would like to think they’d respond to crisis like Daryl – a born survivalist with a knack for looking incredibly cool while doing anything. Eugene’s path to survival however, one born out of self-preservation and necessity, feels a lot closer to home than suddenly becoming a zombie killing machine. 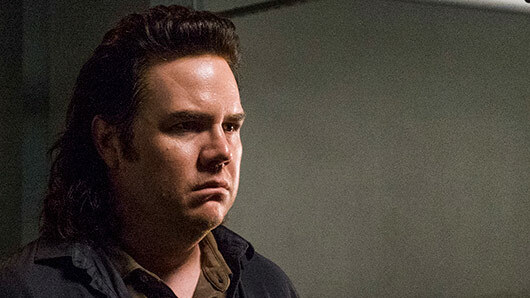 Eugene’s selfish nature somehow made him the most human character on the Walking Dead – and because of this, one of the most interesting characters. ‘Time for After’ centres on Eugene. It’s fair to say the character has had his ups and downs. He’s lied to his friends to survive. He’s learnt to fight for himself. He’s learnt the value of friendship, only to turn around and stab it in the face because his survival was more important to him. Eugene has gone full circle, but every moment with him is a pleasure to watch. Every moment spent on this character is interesting – maybe because it speaks to the dark part of one’s self that is sure they would react to – even want to react to – a zombie apocalypse like Eugene. Eugene can carry an episode. For this reason, ‘Time for After’ is the best episode of season eight so far. ‘Time for After’ is the argument of doing what is right for yourself versus doing what is right for others that we didn’t realise the show needed to discuss further. There is the right thing, and then there is the right thing for you. What do you do when your morals and your survival don’t reconcile in your head? What do you do when death is knocking on your doorstep and every escape route is blocked with a person you did wrong in your scramble to be inside in the first place? This struggle is painful, complex – and yet surprisingly human. The Walking Dead airs on FOX at 9pm on Mondays. 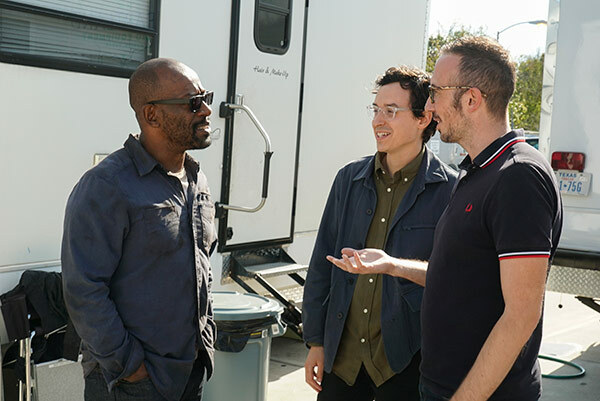 The first behind-the-scenes imagery and video of The Walking Dead star Lennie James on the set of Fear The Walking Dead is here. As announced last month, the British star is set to become a regular on The Walking Dead spin-off Fear The Walking Dead in a long-awaited crossover between the two shows. The Walking Dead launched in 2010 on AMC in the US and told the story of Rick Grimes, a sheriff deputy who awakes from a coma to discover a zombie apocalypse has taken place. Spin-off series Fear The Walking Dead began in 2015, initially covering the period of time between the apocalypse beginning and Rick waking up to a zombie-ravaged landscape. Both series are set within the same universe, however due to differences in location and points in time have never crossed over before. James has played Morgan Jones, a fellow apocalypse survivor, since The Walking Dead season one. The Walking Dead airs Mondays on FOX at 9pm. Fear The Walking Dead will return in 2018.